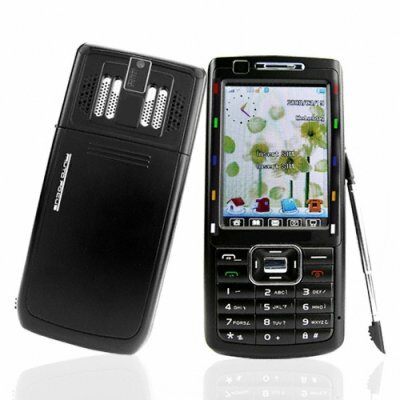 Successfully Added Super Sleek Touchscreen Mobile Phone with Answer Phone to your Shopping Cart. An entry level phone doesn't have to be light on features, well at least that's what we believe here at Chinavasion where we can offer you the latest in cell phone technology all at wholesale prices and completely SIM unlocked. This sleek little handset is sure to impress even the most discerning media tech head with great camera modes, AVI playback support and awesome MP3 player. It will also blow out it's competition with a truly astounding variety of modes and features. Dual SIM capability will keep you in touch with everyone from work to play and a built in answer phone that records in WAV format will keep track of your missed calls. Don't miss out grab this super sleek touchscreen mobile phone today at an awesome wholesale price. NOTE: This product is compatible with GSM at 850 MHz, 900MHz, 1800MHz and 1900 MHz. Cool LED Frame for Call Indication etc.